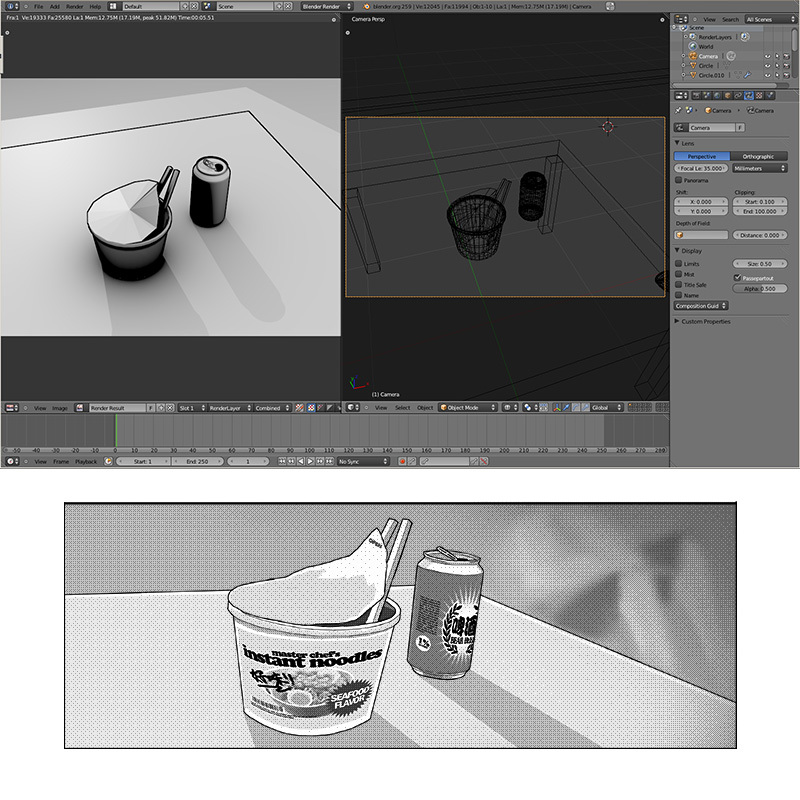 3D applications are great tools to speed up comic / manga production when we use it in the background plate. After the key location is model, we can freely move the camera around and render all the background artworks with correct perspective. 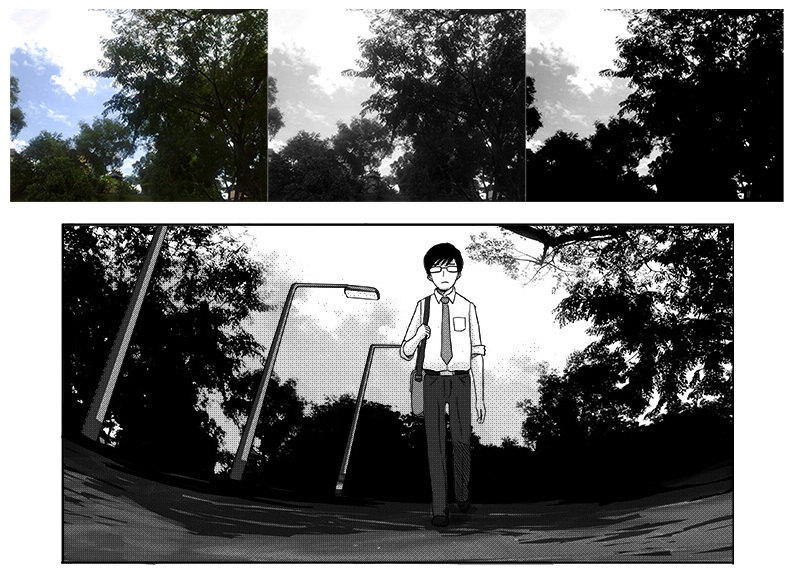 More Tutorial on using Photo for manga background. Generally, there are two main ways on how you can use 3D for your comic. 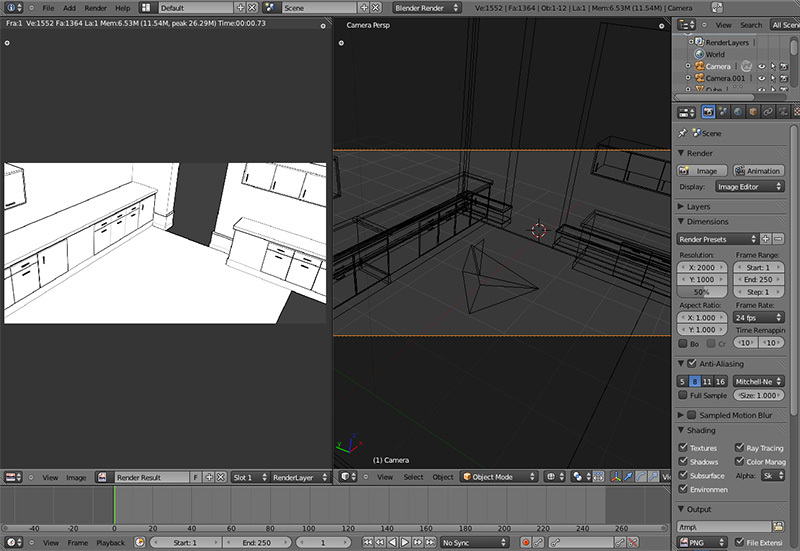 Model and render the 3D. Then, import the render into drawing application as a guideline for trace over. Model and render the 3D with line art and use it straight in your comic. 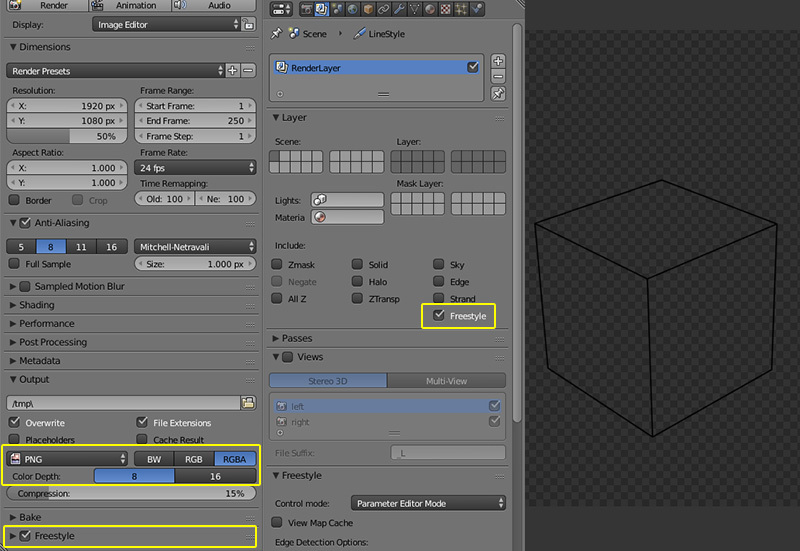 In Blender3D, we have the option to split the ink/line render in different render layer with alpha. Pencil stroke If you are looking to render outline that have less "vector/digital" feel with it. You can enable textured stroke in freestyle settings. Sample blend file with pencil stroke by TK can be download in this link. Look under the teapot thumbnail. There are no quickway to render halftone or hatching in Blender3D. You can do them in or outside of blender. I suggest looking at Sawshark blend file by Charblaze. Sample blend file can be download in this link. Look under the sawshark thumbnail. 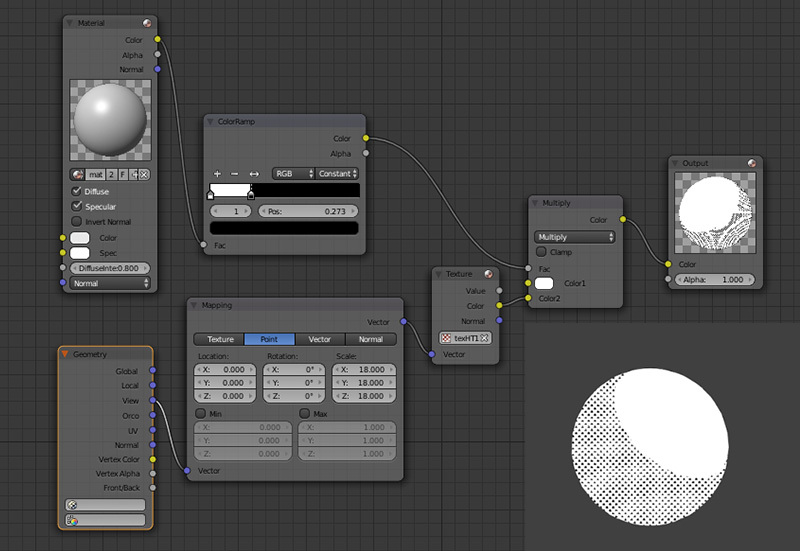 Render grayscale image in Blender3D and apply halftone filter in other drawing application. In Photoshop, halftone can be quickly generate in this menu Image > Mode > Bitmap. 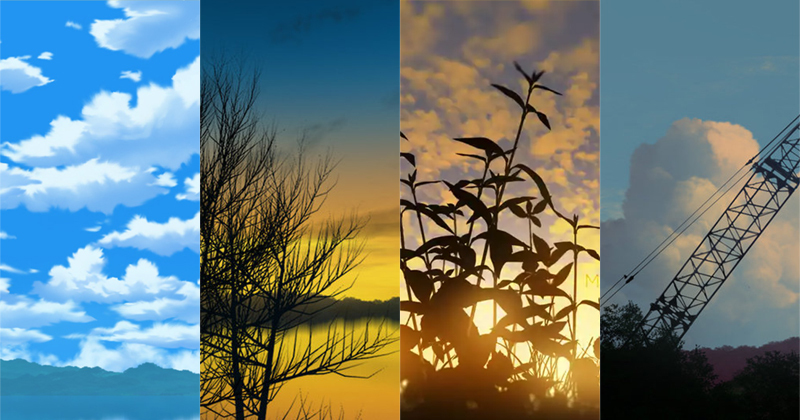 This method can also be use on photo. In the following image, I convert the photo to grayscale then bitmap. Below is a manga style 3D render I did using Blender internal render and Freestyle. Kren banget,,, Tidak ada Tutorial Berbentuk Videonya ya ,,,? Great tutorial! Do you know any good tutorials for modelling buildings for use in renders?